The aim of this report is to make Cuban energy reforms more widely known. Cuba has succeeded in achieving high human development index while keeping its ecological footprint small. This is largely because of the low energy consumption in the country. At the same time the electrification rate is one of the highest in the Caribbean region. Even at the time of energy crisis the electrification continued in the remote rural areas, mostly based on renewable energy sources and having priorities set in electrifying schools, health centers and communal centers. electricity production system was inefficient and hurricanes caused wide damage to the transmission and distribution system resulting large blackouts. The Energy Revolution has been quite successful in changing the energy use patterns in Cuban households. The appliance replacement program has resulted in significant reduction of kerosene, LPG and gasoline use and also in significant annual electricity savings. New progressive electricity tariff has also encouraged electricity saving in households. Cuba also experienced almost a complete shift from centralized to a distributed energy system. The decentralization of electricity production has increased the reliability of supply and improved the efficiency when new smaller scale power plants have replaced older technology. In terms of distributed energy generation Cuba holds currently the second place in the world right after Denmark. This may better enable the future development of renewable energy. The energy revolution has, so far, not had much impact on energy use in industry and transport, which are the areas where the future policies should be directed. Also the country’s energy mix still remains to be dominated by fossils. Yet, Cuba has high potential for harnessing renewable energy sources such as solar, bagasse and other biomass sources, as well as wind. It also has highly qualified scientists and experts on renewables and energy conservation, in addition to high-level government support for sustainable energy production and use. The major barrier is formed by lack of available materials and limited access to finance. For donors such as the European Commission there would be plenty of opportunities in Cuba for cooperation in supporting and fostering the agenda of sustainable energy for all. 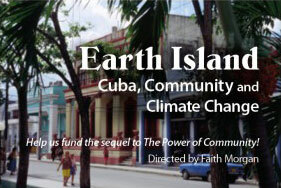 Cuban experiences could be beneficial for South-South and North-South-South cooperation in areas of low-cost appropriate renewable energy solutions, deployment of renewable energy in electrifying remote areas, electrification programs with social goals, and when developing sustainable energy policies and energy conservation measures that also address social fairness considerations. For example the Cuban social credit system developed for the replacement of inefficient appliances and the new progressive electricity tariff deserve more international attention.